Commercial Condos - The Home Office Solution | Greiner Buildings Inc.
Do you own a business or storefront? Or perhaps you are starting a new business an upgrade from your home office? Greiner Buildings commercial condos are the perfect home for your new or existing business. We use quality materials to set our buildings apart from competitors. We also offer a level of customization that allows you to suit your next commercial building to your individual business needs. Metal post frame buildings are a great option for commercial buildings of all kinds because they offer a lot of space at a low cost. The way the buildings are constructed, with the vertical posts mounted on the foundation or sunk into the ground and the horizontal supports placed across the entire structure, allows for a lot of stability and space. We have experience in designing and constructing buildings for nearly every industry. If you need office space, we will provide you with a cost-effective, energy-efficient, spacious solution that can be customized based on your business. We can add in meeting or lounge rooms as needed or work in rooms for storage or bathrooms. If you need retail space as well, we offer clear spans that maximize usable space. 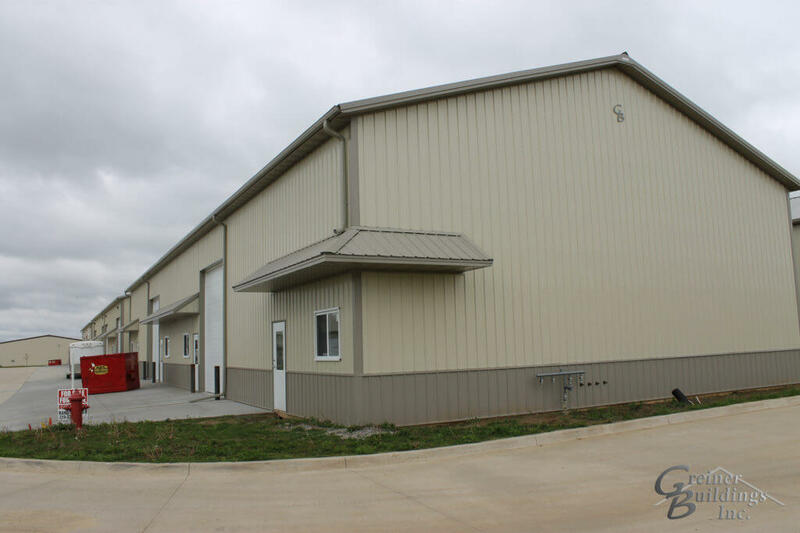 If you need warehouse or storage space in your commercial condo, our low-maintenance buildings are the perfect option. We also provide plenty of features that can be used to give your building a unique feel, such as doors, windows, decks, porches, and more. Contact us today to get a free quote and talk to one of our experts about your new commercial condo.